Pharmacology is the study of the therapeutic value and potential toxicity of chemical agents on biological systems. 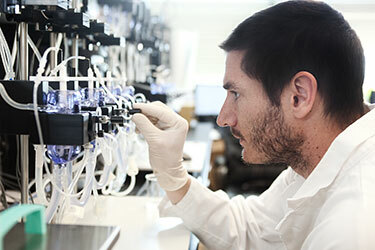 It targets every aspect of the mechanisms for the chemical actions of both traditional and novel therapeutic agents. The University of Nevada, Reno School of Medicine Department of Pharmacology is committed to excellence in both teaching and research. The Department of Pharmacology is located within the University of Nevada, Reno School of Medicine at the north end of campus which is in the foothills of the eastern Sierra Nevada mountain range. Pharmacology faculty are highly motivated educators committed to educating future physicians, research education and post-doctoral training. 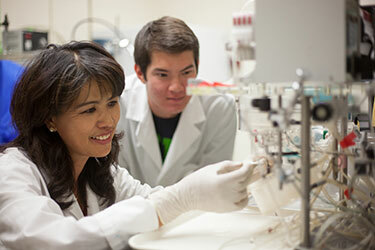 Our department of pharmacology includes a team of diverse faculty and staff passionate about education and research. 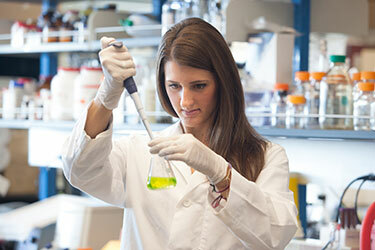 Department of Pharmacology faculty and students participate in several interdisciplinary graduate research programs. We offer full service pharmacies accepting prescriptions from health care providers in the community. Patients are encouraged to use the pharmacies for all their prescription or over-the-counter needs. 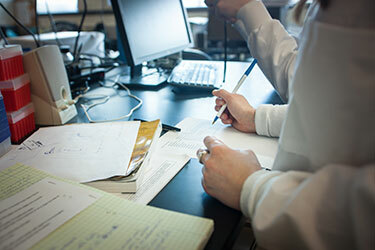 Find pharmacy news articles and listen to interviews with School of Medicine pharmacy faculty. Interview Questions for Faculty Spotlight: Ruben K. Dagda, Ph.D.
Search features for the Department of Pharmacology section only.